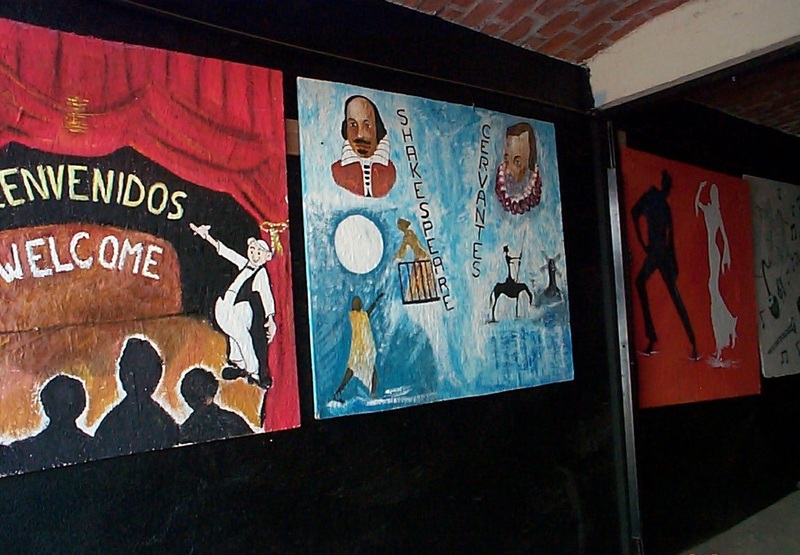 The Rosarito Theatre Guild is a nonprofit organization which strives to embrace, encourage, develop and present the arts, and make Rosarito Beach (Playas de Rosarito), Baja California, Mexico and its surrounding communities a better place to live through the enrichment of live theater and the performing arts. Our performances have entertained the community since 1990. We recently began restoring the historic Cines Rio in the heart of Rosarito Beach, to the delight of many locals, who remember attending the Cines as children, and were thrilled to have it brought back to life as a venue for the performing arts. First Lady of Rosarito, Lic. Karla Lopez de Robles (center); and Executive Director of DIF Jorge Crosthwaite (right). 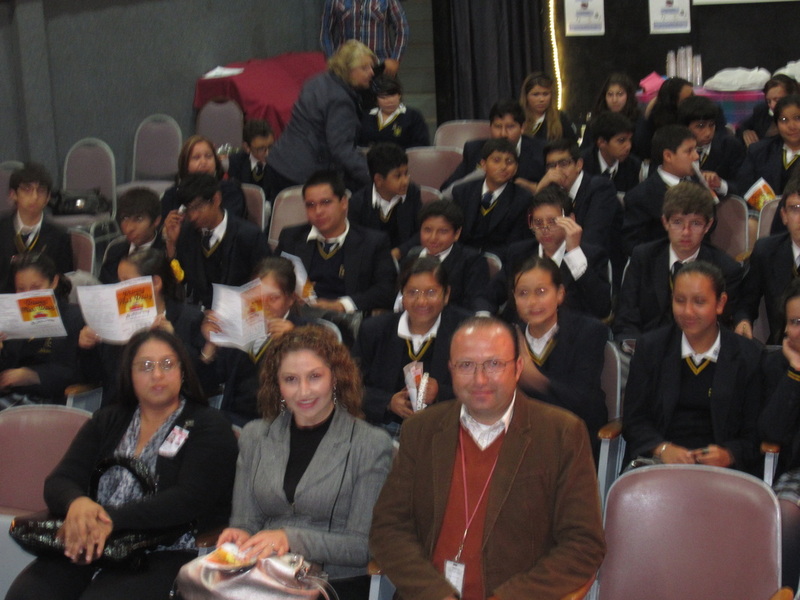 Our recent production of Driving Miss Daisy included a special complimentary performance for the students of Colegio Reina Isabel, offering many their first experience with live theater and the opportunity to personally know and interact with the cast and crew. The students voluntarily donated an attendance fee. This money was matched by the RTG and presented to our First Lady, who is also Presidenta Patronato de DIF Municipal, in support of their School Hot Breakfast Project. The theme of Driving Miss Daisy, involving race relations before and during the Civil Rights era in the United States, provided the unique opportunity for one of our actors and Board members to join the students in the classroom prior to the performance. Oswell shared what it was like to grow up in the South during that time and engaged the students in role play and discussions of how his experience, growing up as a minority person in that era, might relate to some of their own experiences. We have adapted some of our productions to bring Hispanic characters into the scripts and have had local bilingual youngsters and adults perform in an increasing number of roles. In offering our Acting and Directing classes, we are working with members of the local community to offer these to local bilingual students and adults. Continue the restoration of the Cines Rio, to enable us to offer even more variety of productions, including live dance performances. Expand our educational offerings to include Acting and Directing classes in Spanish. Expand our educational offerings to include classes specially targeted to local students. Building on these classes, to offer more performing opportunities to local students and adults. Be able to offer Spanish-language productions.